Formerly known as Revue de Stomatologie, de Chirurgie Maxillo-faciale et de Chirurgie Orale, Journal of Stomatology Oral and Maxillofacial Surgery (6 issues/year) is the official publication of the French Society of Stomatology Maxillofacial Surgery and Oral Surgery (Société Française de Stomatologie Chirurgie Maxillo-faciale et de Chirurgie Orale (SFSCMFCO). 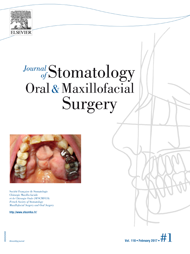 J Stomatol Oral Maxillofac Surg publishes research papers and techniques – (guest) editorials, original articles, reviews, technical notes, case reports, images, letters to the editor, guidelines – dedicated to enhancing surgical expertise in all fields relevant to oral and maxillofacial surgery: from plastic and reconstructive surgery of the face, oral surgery and medicine, … to dentofacial and maxillofacial orthopedics. 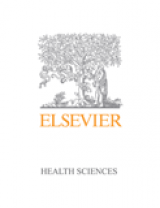 Journal Citation Reports/Science Edition (Current Contents), Medline (Index Medicus), Embase/Excerpta Medica, Pascal (INIST/CNRS), Bibliodent, Science Citation Index Expanded/SciSearch, Scopus.